How Far is Deva Laurencia? Laurencia is located in Padapai village, Sriperambudur Taluk, Kancheepuram District and is around 40 km from the city centre. The project amenities include power back up for individual units (for lights/fans) and common area, club house, security systems such as access controlled entry, CCTV and intercom, water and sewerage treatment plants, provisions for RO (Reverse Osmosis) treatment and covered car parking. At Laurencia, there is something for everyone! Sit back and relax while watching your kid's enjoying themselves at their way own fun and frolic zone. Escape the humdrum of everyday life by taking a stroll on our beautifully landscaped garden and pamper yourself like royalty at the parlour. Rediscover the spring in your step and feel invigorated after a session in the aerobics room. Indulge yourself in a duel with your opponent in a squash game. Lose track of time as you catch up with friends over a cup of coffee. Throw that thrilling anniversary party that will leave everybody talking about it for days. You can do all this and much more becuase at Laurencia we have an exotic amenity for every taste. Heavy gauged, UPVC/Aluminium frames with glazed, sliding/hinged shutters with M.S. Grills. Heavy gauged, UPVC/Aluminium frames with glazed, louvered/hinged fixed ventilators with a provision for exhaust fan. Back-up for common area lighting, pumps and lifts. Each 4 BHK apt. to have 3000W, 3 BHK apt. 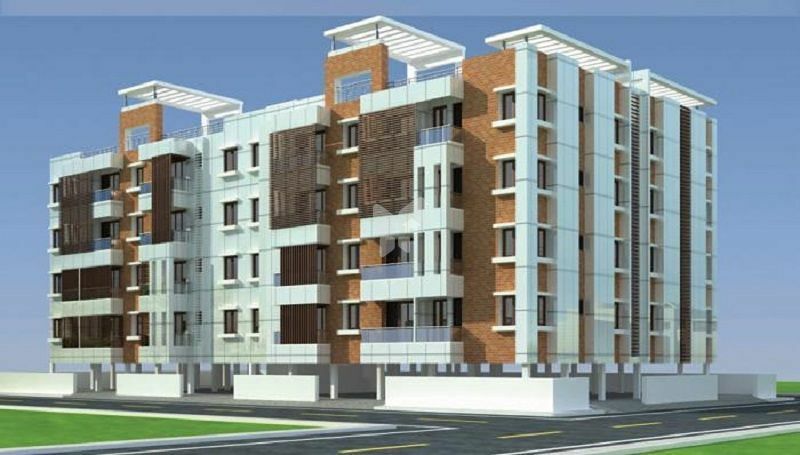 (large & regular) to have 3000W and 2 BHK apt. to have 2000W power supply. Peripheral vigilance through CCTV/Cameras and patrolling by security guards. Gas leak detector in kitchen. One outlet for T.V and Telephone in the living area and in all bedrooms. Provision for cable T.V connection only in the living room. DCC Promoters is a vital and innovative construction and Contracting Company geared to achieve best results for its customers relating to all construction activities with best planning and quality. The Company believes that design concept should be progressive, innovative and based on practical solutions and practices that are commercially realistic and aesthetically valid. DCC Promoters firmly believes that quality and consistency are key to the success of the project. By virtue of this practice the involvement in the project by the Director in charge leads to the success of the project. The Director, Managers and staff are a closely-knit, friendly and enthusiastic team that is keen to take responsibility and produce planned and candid solutions on time, all the time within budget, producing fine construction output. DCC Promoters is based on the philosophy that whatever the level and scope of task, our contribution should be substantial and measurable. The driving force behind implementation of our principles is our chairman Mr.Devendiran, a dynamic Civil Engineer from Anna University, Chennai ever eager to adopt modern technology in his work. DCC Promoters has extensive capability to understand customer needs and plan its projects in such a way to make it the most preferred project of the consumers. With a customized style of construction, each unit of the project becomes a favoured product on its own.